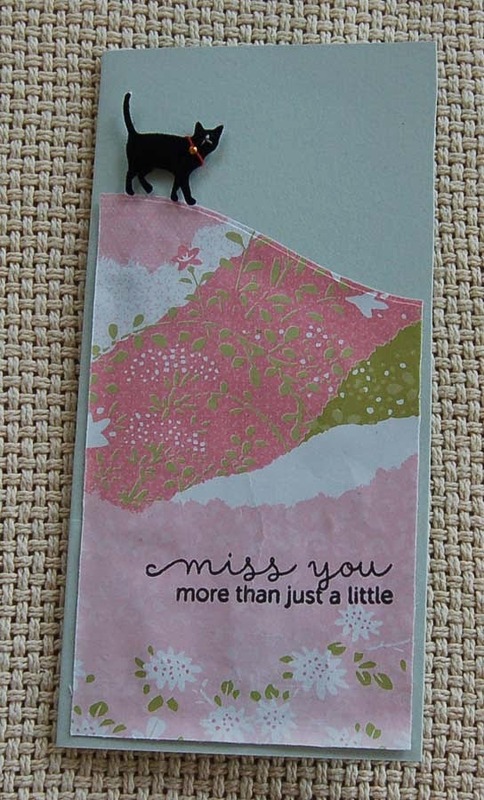 The two-sided card stock I used for this card was from the Bo Bunny line that is now selling at HM Ben Franklin Crafts. I love the retro-old-time-Hawaii-look of these papers. The banner was made using a Paper Smooches stamp and die (about 6 in each set). The burlap circle was cut from a 6x6 sheet. My favorite part of the card is the MS snow glitter which really highlights the shaved ice. Making this card stirred up some wonderful memories....good times! 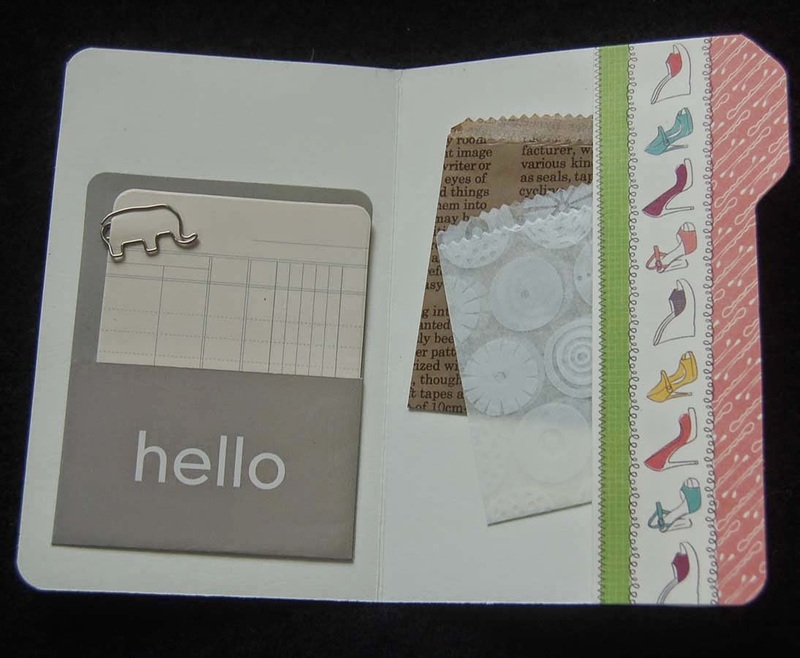 For this card I chose Carta Bella two sided printed card stock and burlap paper from a 6x6 pad. Both are available at HM Ben Franklin Crafts. The image was colored with Copic pens (sold at BFC) and Martha Stewart snow glitter was added to the shaved ice. 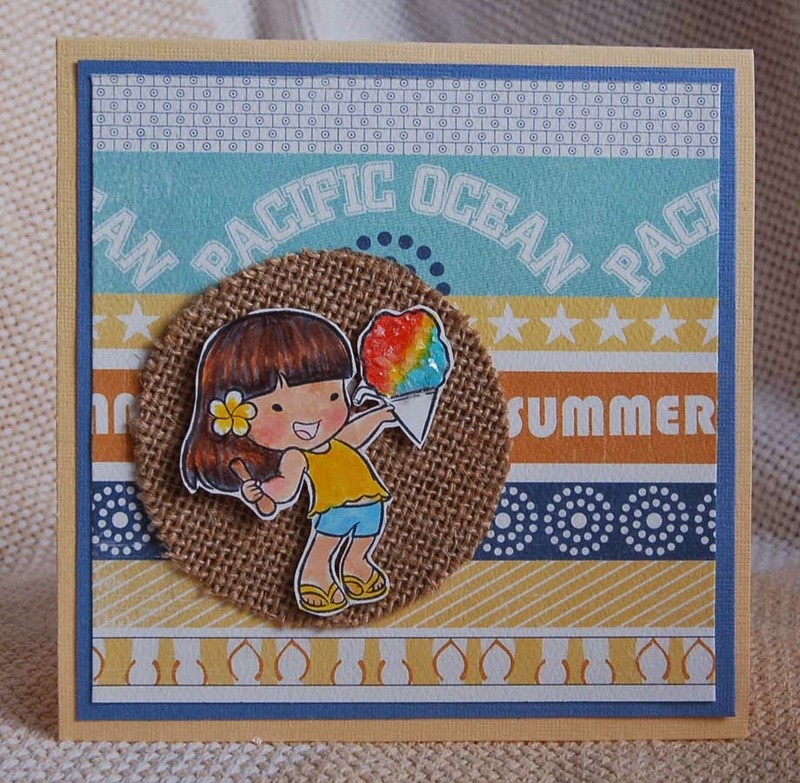 I hope this card brings back happy summer memories for you, too! The simplicity of this card belies the struggle that took place during its construction. It was difficult to create mostly because it is a card for a young couple who had to euthanize their less-than-a-year-old kitty due to a rare cat disease. Because she was 'only a pet' and not a long time family member, this death isn't any less heartbreaking for the owners. I chose the sentiment from the Mama Elephant set because I think it fits the situation perfectly. I searched my more than ample stash of Japanese papers to find just the 'right' piece. Oddly enough, it turned out that the 'perfect' paper was a saved tea packaging. I knew I was saving it for a special reason! 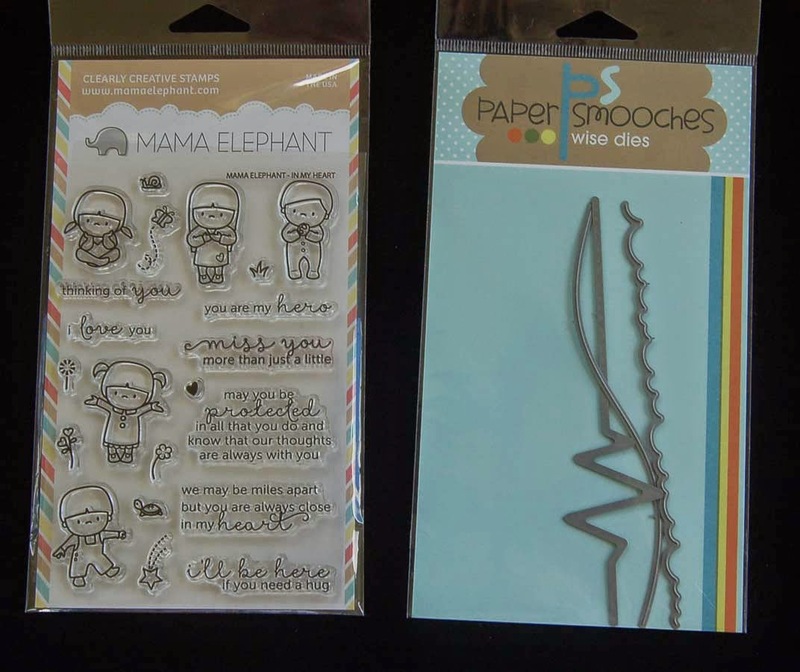 The Paper Smooches die was used to make a simple hill for the velvet sticker cat to perch on. I am very happy with the resulting condolence card and I hope it along with my thoughts will give the couple some comfort. 1. Every day is a new adventure. 2. Even small creatures can have a big impact. 5. Purring is the sound of love. 6. Be generous with your affection. 7. Happiness cannot be measured. 8. Be grateful for your time on earth. 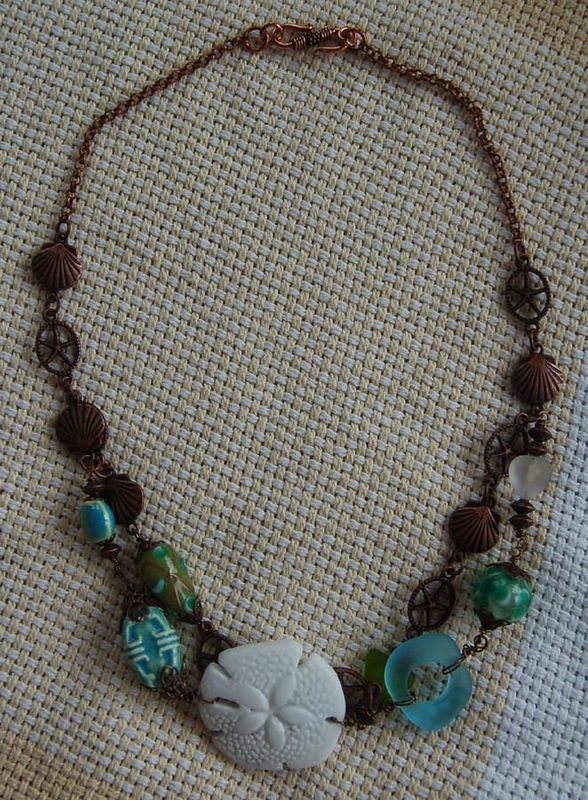 As I mentioned in a previous post, I had leftover beads from the Sand Dollar Necklace. 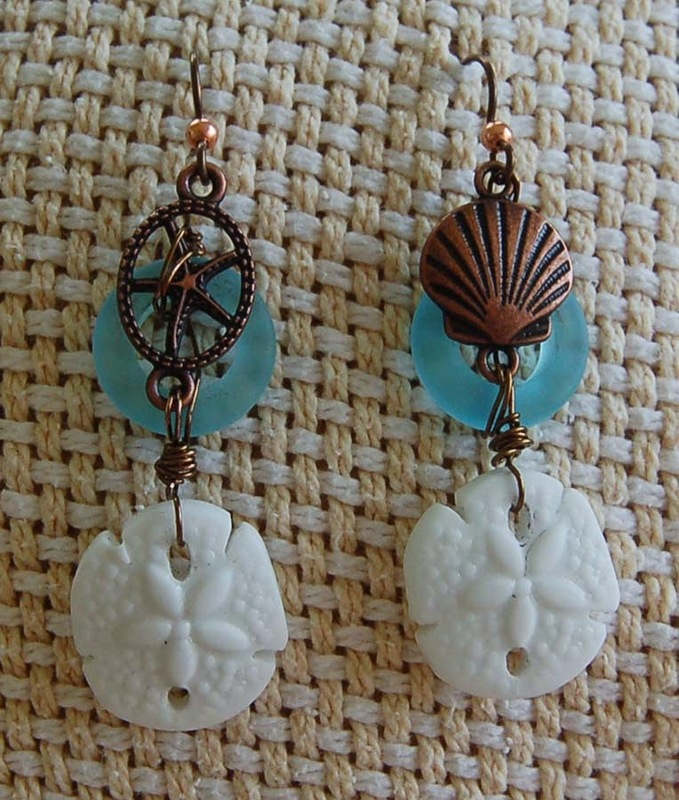 The two small glass rings and sand dollars seemed begging to be made into earrings. From the necklace chain I had two extra links but they didn't match....oh well?......who says they have to matchy match? Using Vintaj wire, I wired wrapped the parts together and felt very pleased with the artsy outcome. It has the exact beach-combed- look that I was after. Not only does it make a good set with the necklace, these earrings can be worn with many other pieces of shell jewelry which are very popular right now. This earring only took a few minutes of my time and used up leftover supplies (some made from recycled glass) so I think this is a WINNER project (if I do modestly say so myself) hahaha! I hope you'll check out HM Ben Franklin Crafts and see what your creative mind can be inspired to do. I've always loved the look of sand dollars but their fragile nature made them impossible to fashion into jewelry (except maybe in resin), so I was very excited to find the glass ones in the HM Ben Franklin Crafts jewelry department. 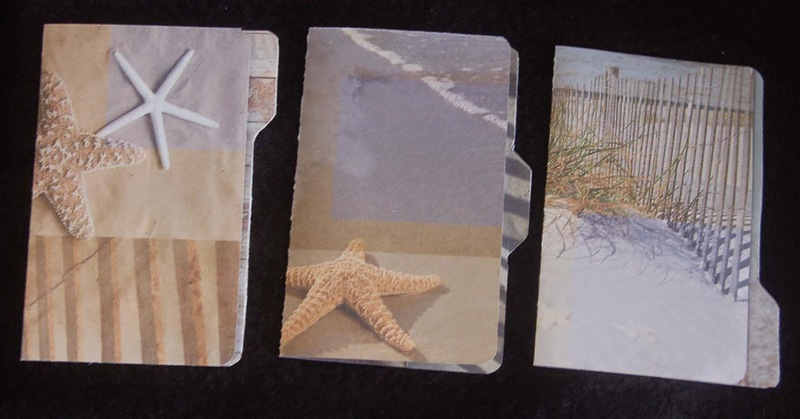 The sand dollars come on a card with two small ones and one large one. They are part of the line of new sea glass beads now available at BFC. The store has so many ocean themed and colored beads that it was difficult to choose just a few, but I finally decided one some that I felt gave a variety of textures and sizes. It was my hope to create a piece that may have been fashioned on Gilligan's Island.....Wow! That sure dates me! Sorry that this photo doesn't show off the copper colors and some of the beads, but I really wanted to show you the sand dollar bead. Anyway, it took awhile to fiddle with the wire wrapping to get the piece to look casually put together. I like the final result and plan to wear this piece with my casual summer outfits and rubba slippas! There were a few (hahaha, really a lot) beads left over so I will probably make some matching earrings or maybe a bracelet. Visit Ben Franklin Crafts and see what you can make with your imagination and a few beautiful beads. 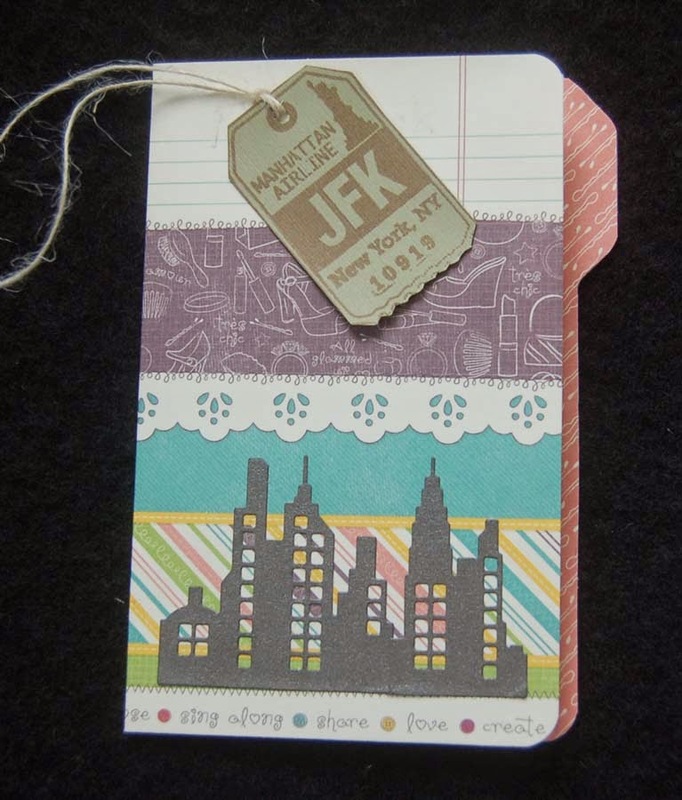 Here is another version of my travel file folders. 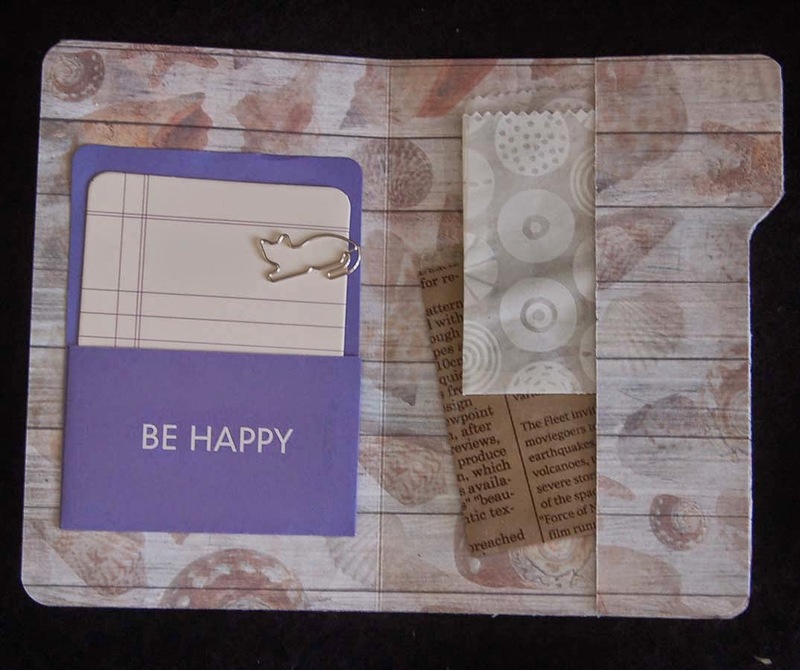 For this project I found the perfect double-sided 12x12 package of paper at HM Ben Franklin Crafts. Because the papers are double sided it required less work to decorate and I think overall it looks better than my last set of travel file folders. This time for the closure I decided to go with velcro tabs on a burlap ribbon (purchased at BFC)...much easier to use than a tied ribbon. These are the fronts of the folders. I took special care to feature a starfish on the front of each one. This is the inside of the first folder. The little waxed bags in the pocket are for saving little souvenirs like flowers or leaves. The pocket card can be used to list purchases and receipts can be held with the cat paper clip. As with the last set of travel file folders, I decorated a mini composition tablet to record my thoughts while on the trip. 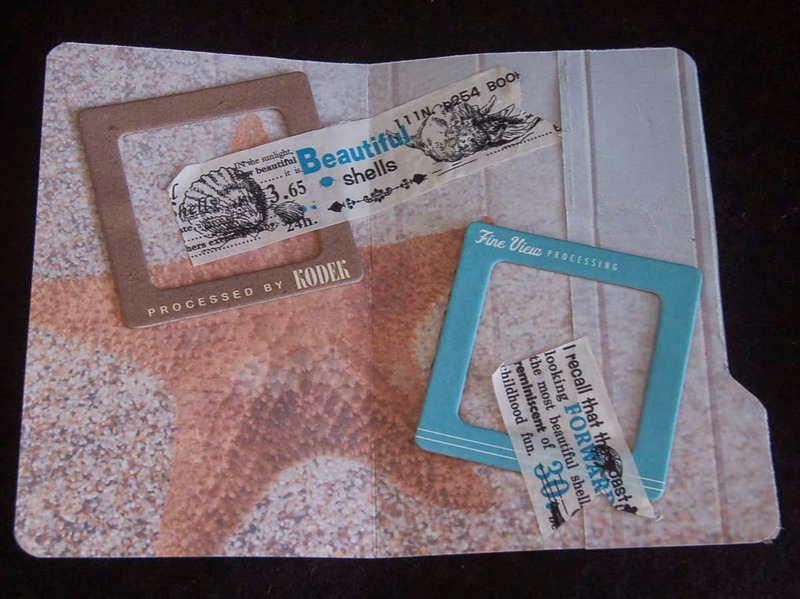 This final travel folder has photo frames tacked on with washi tape. I'm not sure exactly what size my instant camera photos will be so I left room for adjustments. I really, really was excited by the Joy of Crafting show episode where Joy demonstrated how to make file folders using the Envelope Punch Board. I thought that these small file folders could be used to collect all the small souvenirs, ideas and photos that just seem to end up in my purse during a trip. The front of the first folder had a space to write the name of the destination but since my handwriting is not attractive, I decided to use a tag stamp (discovered in the clearance bin at BFC). 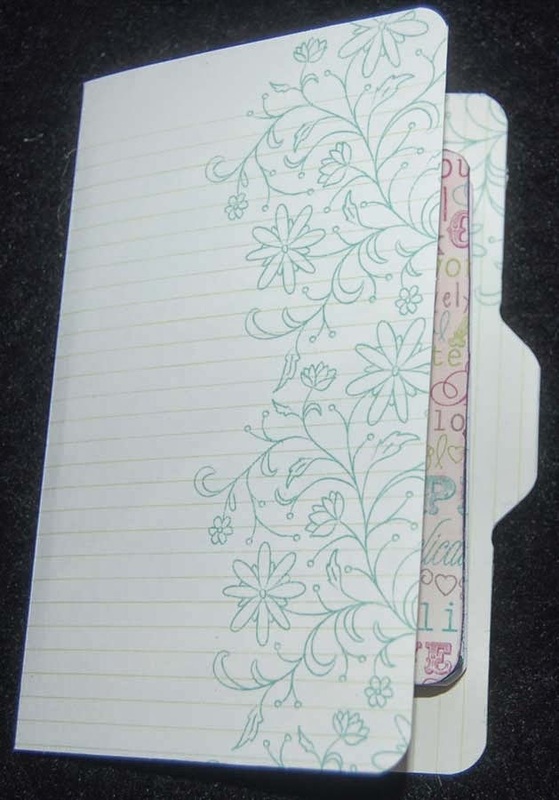 Notice that I did not punch out the indented tab as Joy did on her file folders. I plan to write the word 'souvenirs' on the tab. The buildings were die cut using a Paper Smoochies die set. Here's what I put in the first folder. I made two small wax paper bags using the Paper Smoochies die. I plan to use the bags to possibly hold a leaf or flower. The library pocket by Pebbles seemed like a great place to log in items purchased, place and cost. The elephant paper clip from Celebrations will help to hold the receipts. Oh, the pocket holding the wax bags was made from the strip of paper that was cut off from the 8x8 to make it a 6x8 piece for the folder. The strip was adhered with double stick tape before the tab was punched out. I thought this strip of color was needed because my 8x8 card stock was only printed on one side. Here is the second file folder which I didn't design on the front because I may decide to write something clever or inspiring.....LOL! 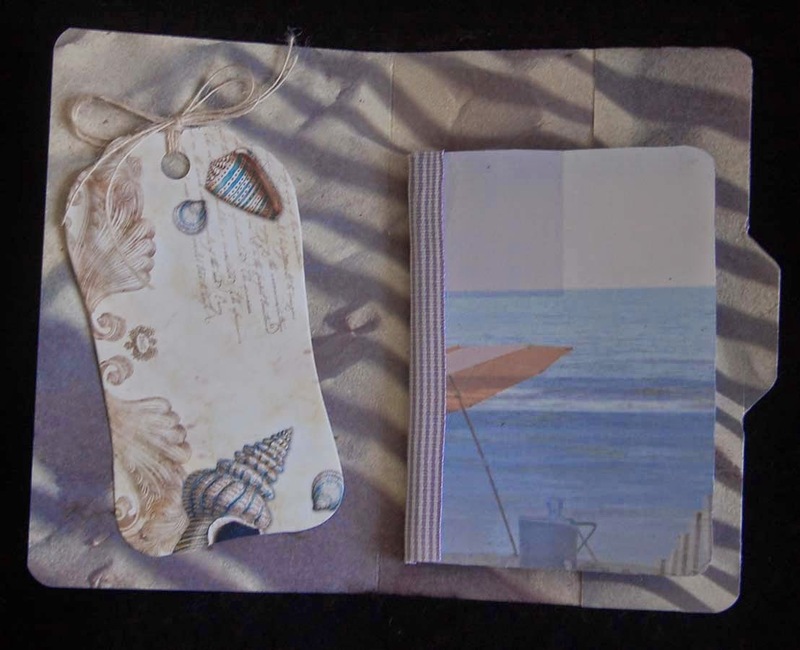 Inside this second folder I included a decorated mini marble tablet and a sheet from a Snap Studio pad which has space for dates and places. I plan to write the word ' notes' on the tab. I haven't decided whether to decorate the front of the third folder. I like the paper plain. This folder will be used for holding photos. I bought a small Fuji instant camera so I would have very small photos to tuck into the folder pocket and behind the frames. 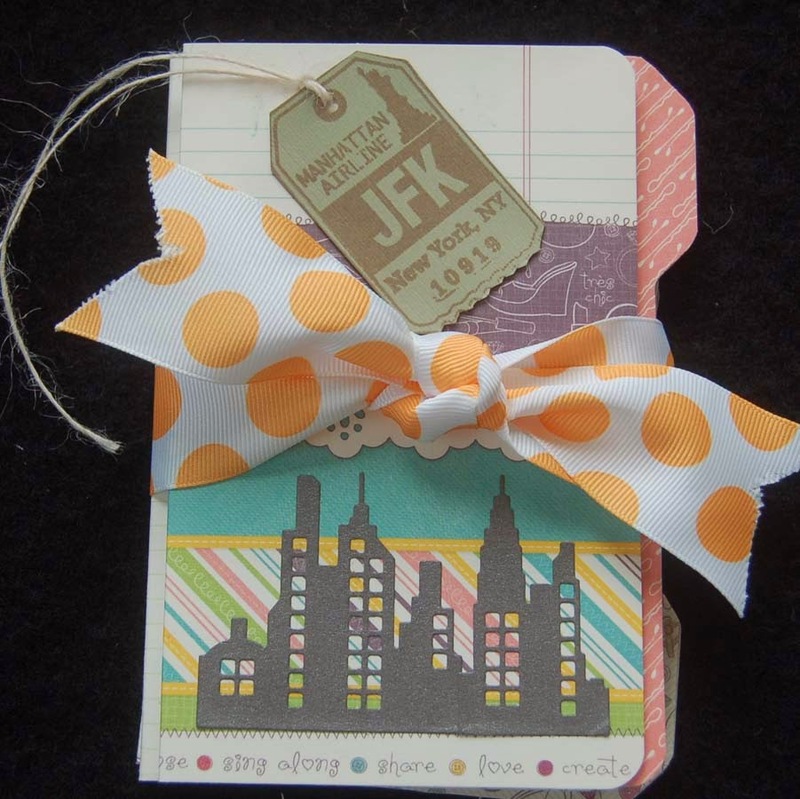 I will take some more washi tape on the trip to adhere photos throughout the folder, maybe on the cover. 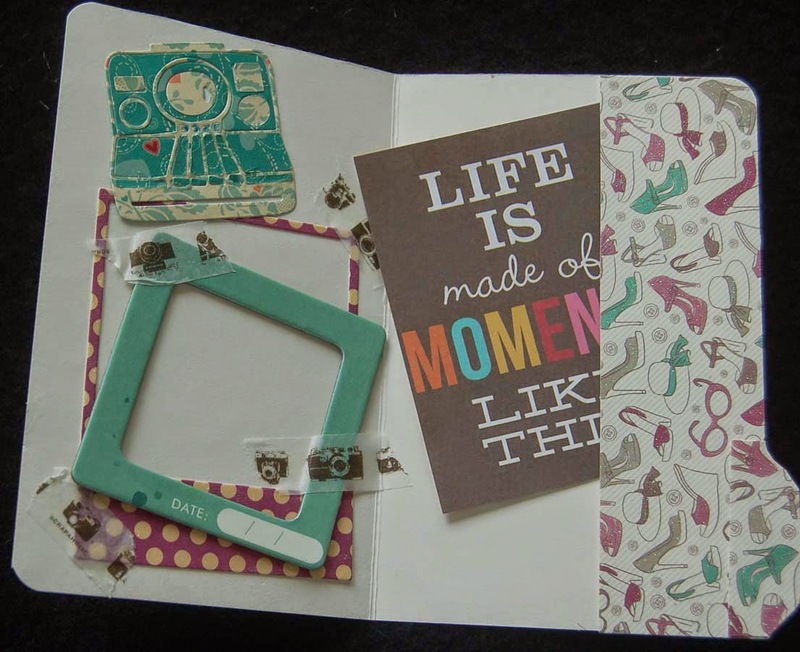 A Paper Smoochies die set was used to make the camera (lots of piecing) and the Polaroid frame. 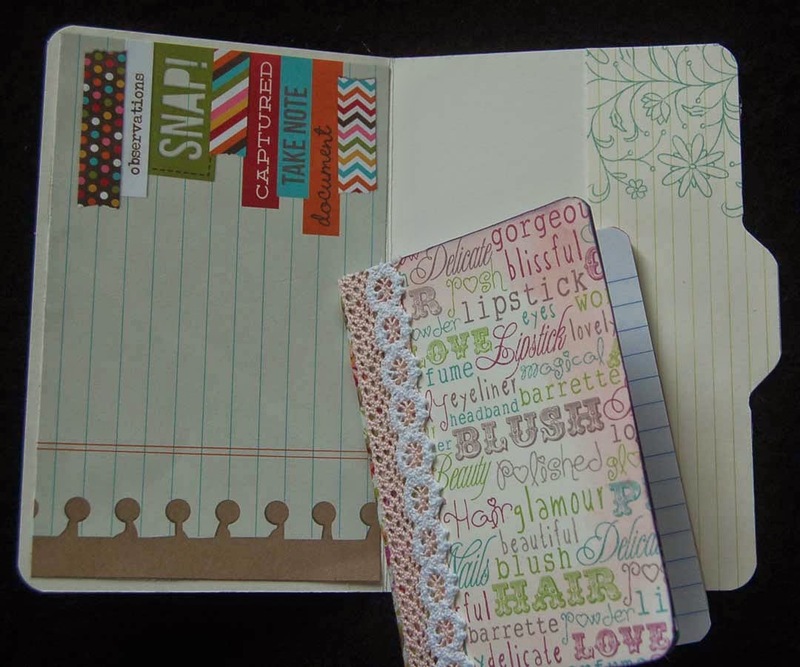 I really like the papers in the All About Girls 8x8 paper stack so I used them for all three folders. Thank you Joy for showing me how to make the file folders. You are so inspiring! 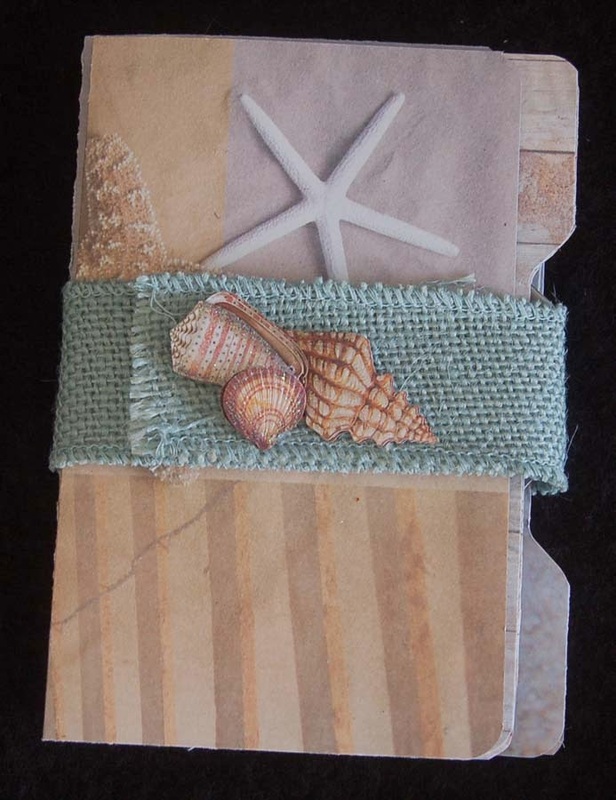 Next, I want to make a file folder set for an upcoming trip to the ocean. I promise not to be so wordy describing my next project! LOL! If you are like me, you have been anxiously watching for the new merchandise to arrive at HM Ben Franklin Crafts. In Hilo they have just started trickling in and I am going nuts trying to decide what to buy.....I want it all! For those of you who love flowers, I know you won't be able to resist the new packages of Petaloo blossoms. 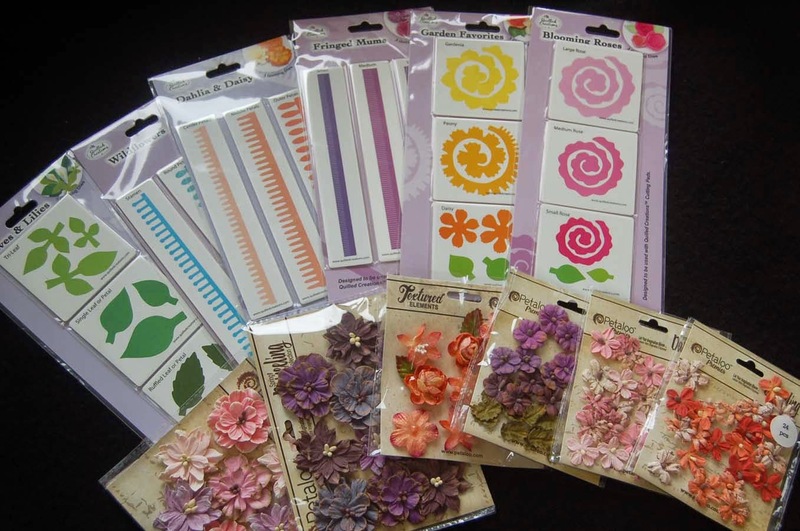 If you'd rather make your own flowers, you are going to love the new quilling dies from Quilling Creations....lots of quilling kits have arrived too. 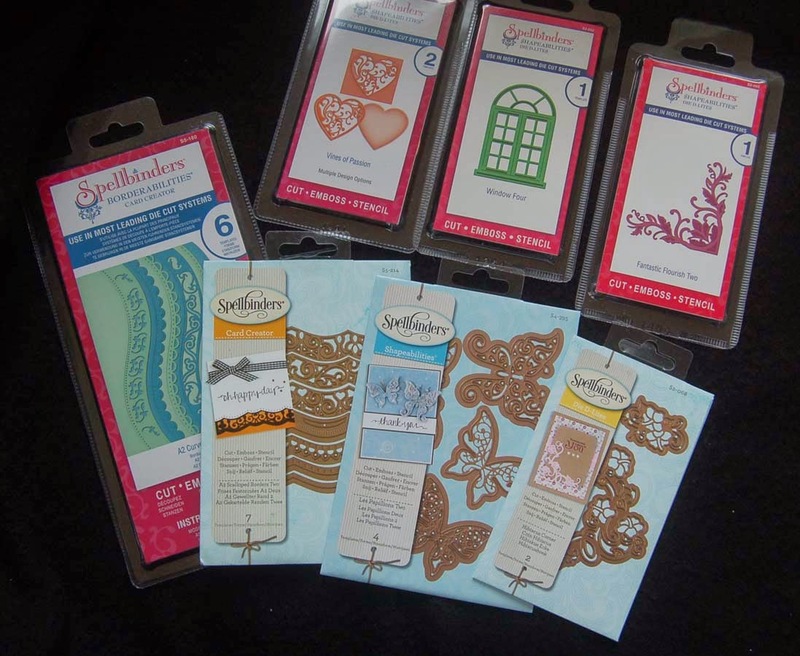 Spellbinders is a company who produces unbelievably beautiful and intricate dies. These are just a few of the ones that I couldn't resist when shopping at Ben Franklin Crafts. 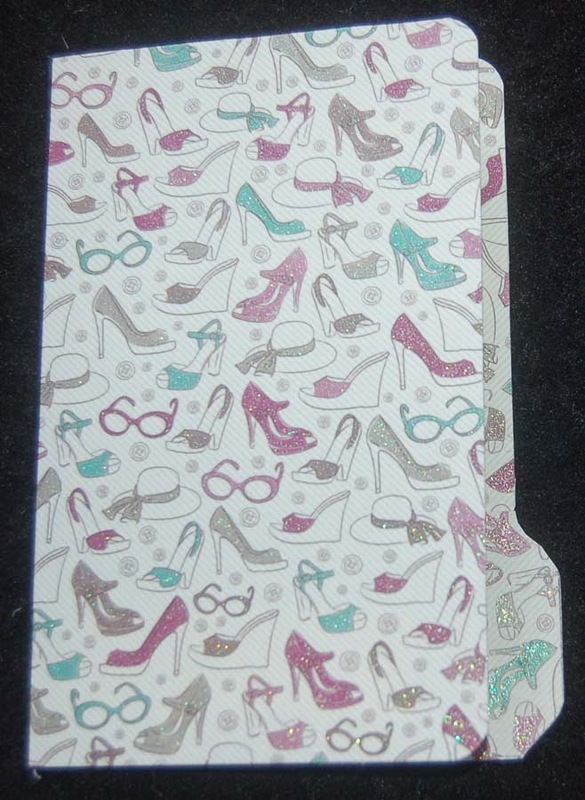 I assure you that there are lots more styles at the store and I will be of course getting more soon. 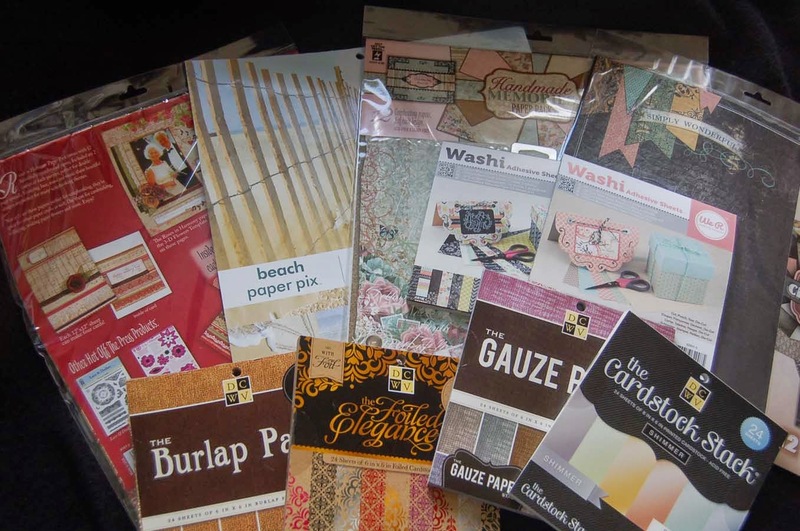 Finally, here are just a few of the new paper packs which just jumped into my shopping basket. I was happy with the romantic floral 12x12 packages which were just the right size and price. 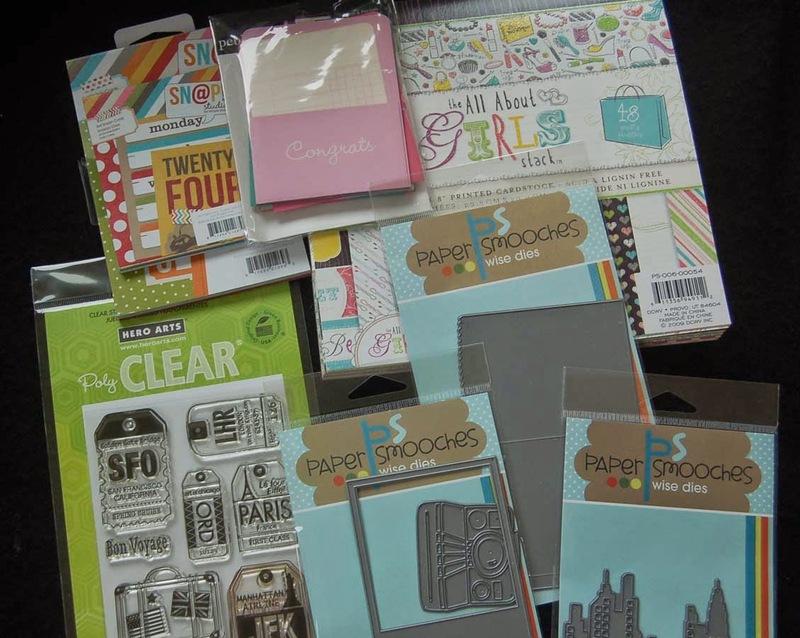 Probably the most unique paper pack was the washi paper stack. Like washi tapes, these paper stacks have waxy, repositionable printed papers. I also picked up packs of burlap paper, foil printed on kraft paper, shimmer sheets, gauze and double sided blackboard paper. It's hard to describe these gorgeous papers; I guess you'll just have to visit the BFC stores and see for yourself. 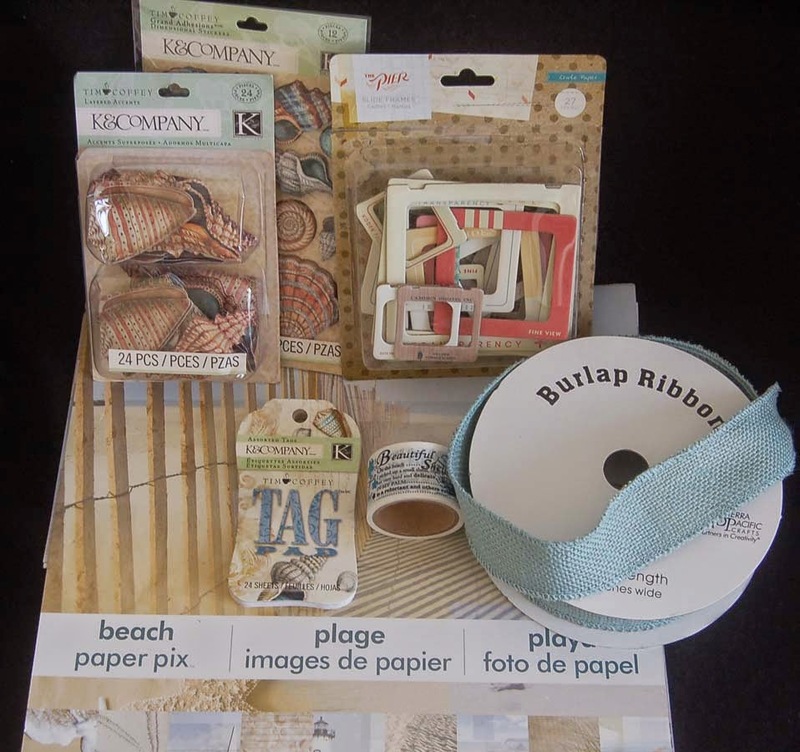 I know I will be using these products in my upcoming projects. I hope you'll come back to check out my creations. Thanks for stopping by! New shipment - Hi everyone! We received a shipment from Mama Elephant today. Have a great day!! !